As the old saying goes: the higher the hair, the closer to Heaven — but what does it mean if your dress is wider than you had previously thought to be humanly possible? 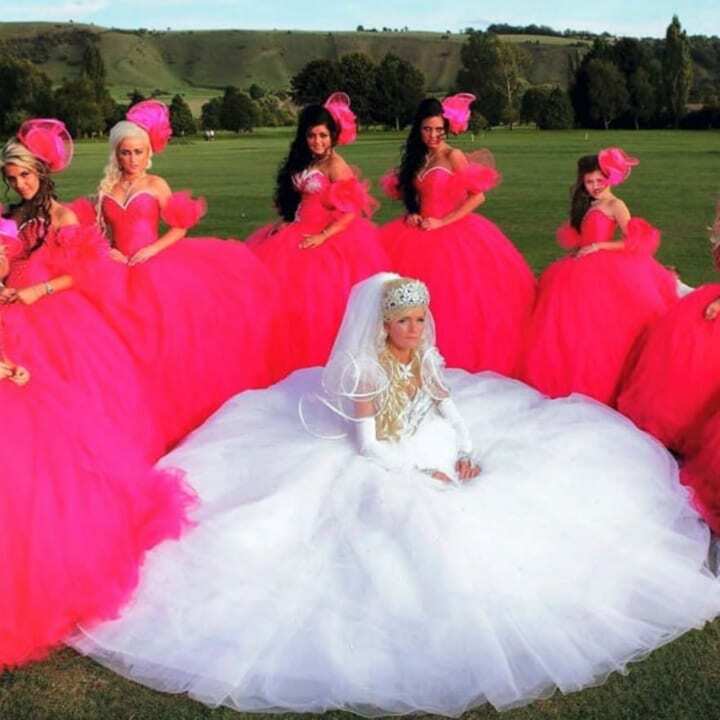 It seems these ladies skipped the adage entirely and requested all the fabric they could get their hands on for their bridesmaid dresses. While all those lacy flouncy frills look like they might be fun, the blinding bright cerise color scheme has us seeing the world through way more than rose-colored glasses. Let’s all hope these ladies don’t have to get anywhere in a hurry, as running in this kind of a gown – let alone a casual stroll – is bound to be intensely challenging.